Remember in A Christmas Story, when Ralfie needed some privacy to decode the radio message? The bathroom was his only option; Ralfie shared the second bedroom with his brother, and the family had just one car. Have you noticed that doesn’t happen any more? 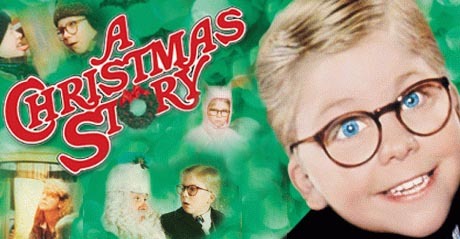 The typical house size in the United States has increased by a thousand feet since 1973, which is presumably larger than it was in 1940 for the Christmas Story. 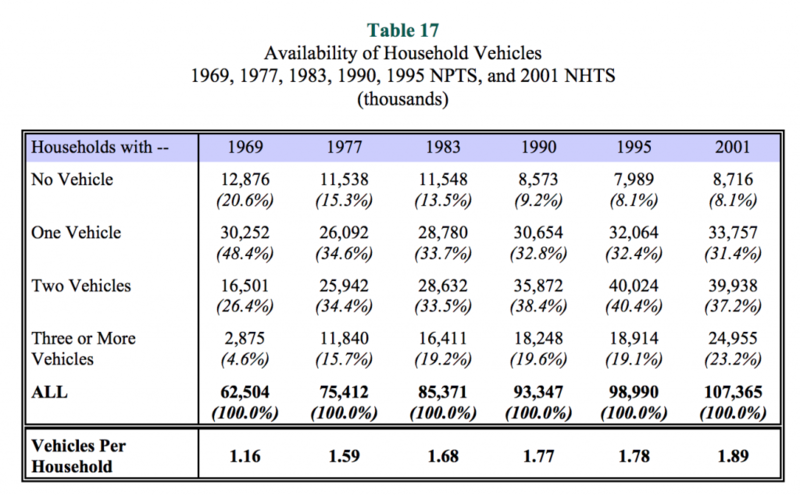 Meanwhile the average family size shrunk from 3.67 to 2.67, and the number of vehicles per household is up from 1.16 in 1969 to 1.89 in 2001. In other words, there are less people with more automobiles in bigger houses. Continuous growth (Also known as “buying more and bigger stuff”) worked fine after world war two, when the United States was rebuilding a broken Europe, and even extended into the computer revolution. Then in the 1990’s, something funny started to happen. Private Equity companies realized they could purchase American Manufacturing for their customer list, move the work to a lower-wage, developing nation, shut the plant down, and make serious bank. Everyone wins, except, of course, the people that actually work in those plants. What do all those people have? Too much space. Too many things. And too much free time. It’s time for us to add in AirBnb, Uber, TaskRabbit, perhaps even Craigslist, the original classified-ad-on-the-web site. The timing is right – we have geolocation available through Google Maps and the iPhone API, and payment like Paypal. Social Media is mature, making social graphs and reviews relatively easy to code up and use, and servers have moved from massive investments to rent-as-you go services. For that matter, Amazon’s Web Services (AWS) and “the cloud” itself as basically the same phenomenon – a company over-builds it’s data center and decided to rent the servers to anyone willing to pay a bit. The second driver is that technology continues to eat into the low-skill job area. This isn’t new either; remember the elevator operators in Mad Men? I have never seen one of those in my lifetime, nor the switchboard operator in the Andy Griffith show. The word processor saw the elimination of the corporate secretary, replaced with an office assistant with additional responsibilities who might support three to five senior executives. The obvious upside of the gig economy is the economic market becomes more competitive. Hotels have to lower their rates or increase service or lose out to your neighbor’s air mattress. Taxi’s in most major cities were essentially a monopoly; Uber and Lyft are forcing innovation to the front again. The less-obvious way is to participate in the sharing and the gigs. It’s hard to make a good days pay off these services, but consider a family with two cars, two bedrooms to spare, and a RV out back. It might not work for a small town in Iowa, but there are gig economy companies like homeadvisor that turn anyone with a home improvement, car repair, painting or cleaning hobby into a professional in a few clicks. The service economy might just rush in to replace US Manufacturing jobs, but not in a way we would expect. And it had better hurry; one fast food place near my home just eliminated the order-entry role, replacing it with a touch screen. In my tiny niche of technology, software testing, there are at least two of these gig economy companies: Applause and Testlio. I have done some work with Applause, and my colleague, Justin Rohrman, has done work for Testlio. The benefit to companies is the classic argument that “with enough eyeballs, all bugs are shallow.” Technical staff who work for these companies have a chance to move up from part-time/for-fun work with a huge number of testers to more nuanced work that requires more expertise, has fewer testers, more predictable hours … and pays more. Sadly, the math here is a problem. Only a tiny minority of people are going to get those “good” gig economy jobs. The new intermediaries, tech companies whose only real value-add is to connect worker to customer, will take as much profit as possible. Which reminds me of another time where too many people wanted not enough work, and companies negotiated rates down – the time of the great depression. History teaches us that collective bargaining and the union was the fix in 1930’s, but it’s hard to imagine organizing Uber drivers on that scale today. Then again, perhaps they will use social media. The circle continues, and there are no easy answers. For now, I think it’s enough to say that Time Punishes People that don’t pay attention. We’re having seismic-level changes in way people find and perform jobs, along with changes in the meaning of the word employer. Look out (especially if you work for a Hotel or other disruptable service), stay ahead of the changes if you can, always have a backup plan … and never be a victim. Back in the days, Chips and Processors are expensive to produce, and their capacity are small. In the era we are now, if I am not mistaken since 2000, it had been a reversal, chipsets and processors have become cheaper to make, high capacity processors have emerge, IT Services have relatively become cheaper too. Anyone still remember our old faithful Intel 386 computer with large HDD that are only 10MB in capacity?. An average Thumb-drive this days is in Gigabytes, I found a 3TB Thumb-drive at a store the other day. So YES, you can say 'TOO MUCH SPACE' because the Technology world can afford them to have it, besides we do not have High-resolution anything back in the days. And YES, it is a tread and it is not stopping anytime too. Everyone just have to keep riding the wave. Matt Heusser: to your point on Moving Forward, I was watching Silicon Valley on TV just last week, where they are running a program, something they call 'Alternative to College' where they gather brilliant, smart young kids who are passionate about writing Software in one location. It was amazing what these kids were developing - that was to you, very impressive and awesome. ... and of course it's worth having some kind of backup plan so that a single EMP doesn't send us all right back to the Stone Age. If that ever happens the people who maintained old-school skills (carpentry with hand tools, hunting with a bow etc) will have the last laugh after all.